Jump in the Jeep Renegade to take on your day and beyond. This extraordinary SUV from the trusted vehicle manufacturer, Jeep, is going to catch the eye of everyone in Tyler, TX. You’ll be having fun all along the way when you’re cruising in the Renegade. 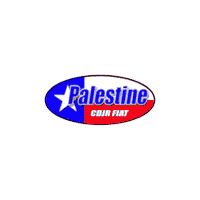 The team at Palestine Chrysler Dodge Jeep Ram Fiat would be thrilled to show you all the bells and whistles this Jeep rocks. Purchasing a vehicle with over 70 available safety and protection features sounds like a no brainer to us and with the Renegade, you’ll get all that and more. The Renegade boasts a ton of standard safety features like seven airbags throughout the cabin, active braking system, and auto high-beam headlights. There are also some fantastic available safety elements like blind spot monitoring system and rear park assist that will continue to work to keep you safe for many years to come. It doesn’t get more real than a hard-working Jeep and the Renegade is no exception. Get ready to turn all the heads in Tyler, TX as you conquer the road. Even though your Jeep Renegade is strong, it also has a certain sophistication that can’t be matched. Go with the Renegade 4×4 and you’ll get to experience the Selec-Terrain traction management system which keeps the Renegade focused and gripped on the road in front of you. You’ll be able to take on snow, mud, gravel, rain, and rocks in your Renegade, so push the pedal to the metal and enjoy the ride. Let the crew at Palestine Chrysler Dodge Jeep Ram Fiat take care of you with world-class service. Our pristine dealership can accommodate you in every way and our friendly sales team will make it their mission to find you the absolute best deal. We are honored that you’d choose to do business with us and promise to earn your trust throughout your time in our showroom. We have been serving the Tyler, TX area for many years and plan to continue to give you the best experience possible when you come to see us. When you choose the Jeep Renegade, you’ll be choosing to drive an SUV that’s fun and adventurous. Plus, this compact SUV is a pro at being tough while making you feel comfortable. When you’re ready to browse in person, visit the team at Palestine Chrysler Dodge Jeep Ram Fiat. We would be thrilled to be able to get the best deal on your new Jeep Renegade and introduce you to the thrill of this SUV. Are you a Renegade? Chances are, if you choose the Jeep Renegade, the name just might resonate with you. The Renegade will take you everywhere you want to go. 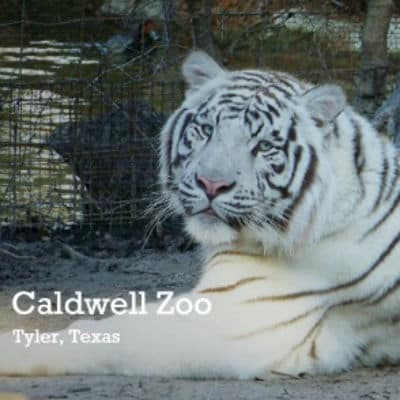 When the kids are antsy, pack them up in your Renegade and take them to the Caldwell Zoo so they can experience the bewilderment of lions and tigers and bears oh my!